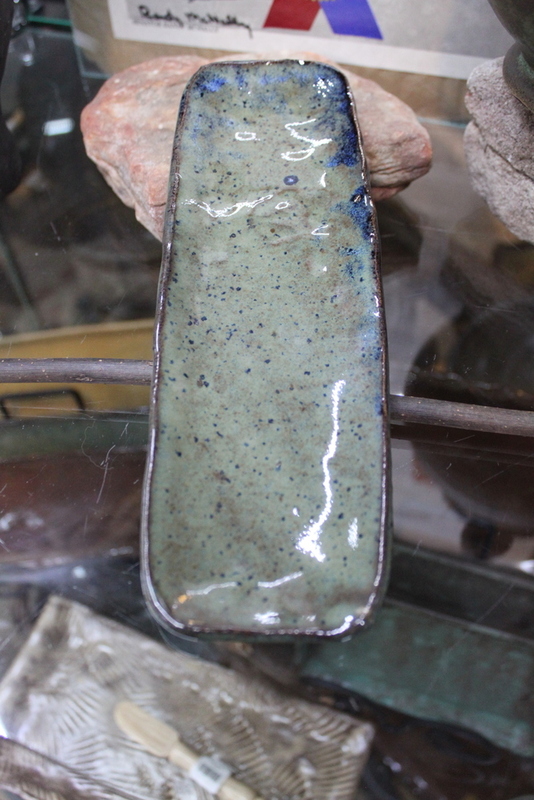 This hand formed tray is made of durable stoneware. It's high fire glaze will ensure that it lasts for generations. It is 8 1/2 inches long and is 3 inches wide. Perfect for serving. It is also microwave, dishwasher and oven safe. It is also lead free.